Liz is a Technical Evangelist at Unity Technologies. Regularly engaging with the game development community, Liz has the fortunate opportunity to encourage and empower the next generation of game development talent. 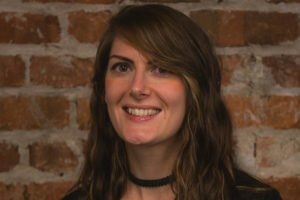 Whether she is mentoring at student game jams, delivering talks on the latest Unity features or getting involved in local initiatives to promote computer games as a viable career option, she realises the importance of empowering developers, instilling confidence and promoting diversity in the game development community .